Finally - just in time for the new year! 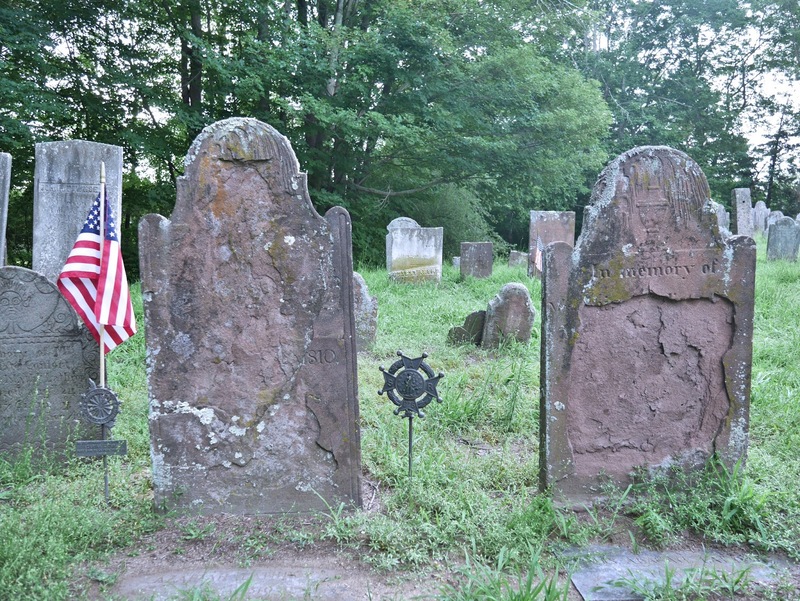 - The Size of Connecticut is moving on from this old Blogger blog to a new home. (Archived posts will stay here.) 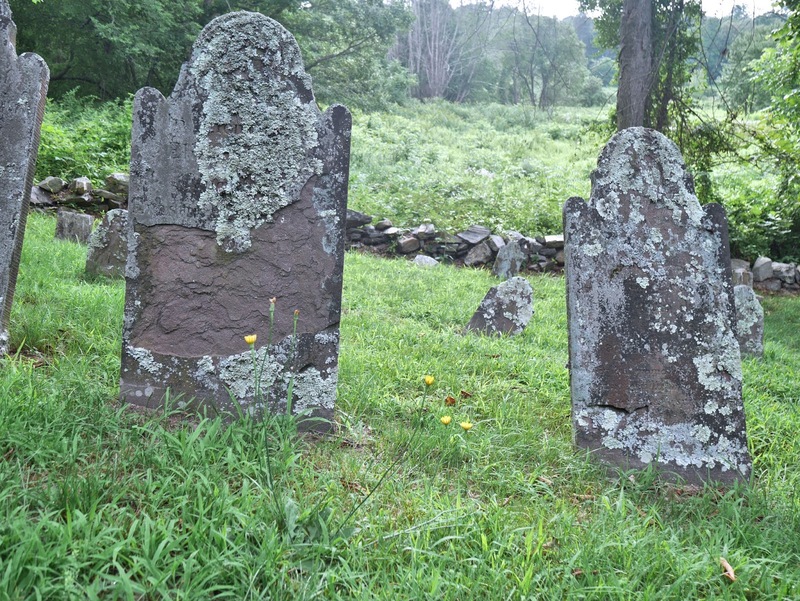 The new website is thesizeofconnecticut.com, and I'll start posting there in a few months. Until then, keep up with the new TSOC on Instagram @thesizeofct and Twitter @thesizeofct. Thank you for reading, as always, and Happy 2019. 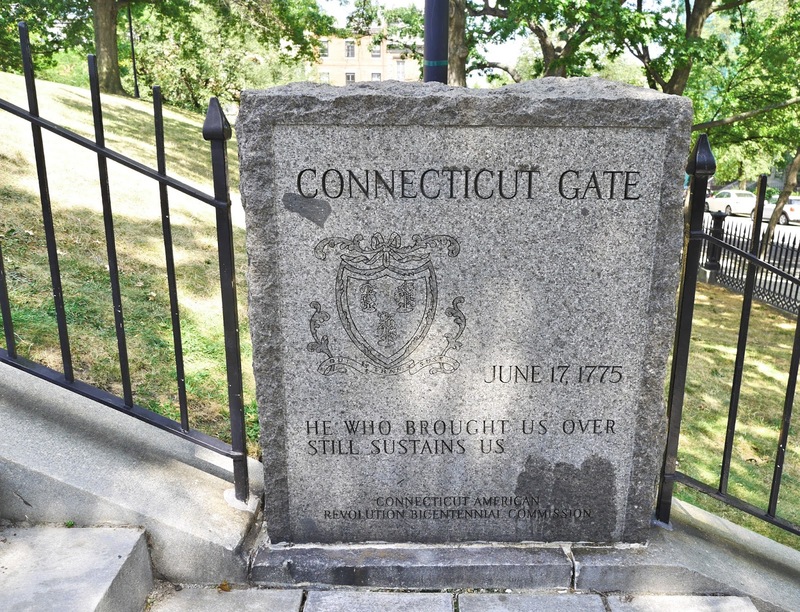 When I started this blog in March 2009, it was simply a place for me to put everything I wanted to write about Connecticut but couldn't get anyone else to publish. Since then, the Internet and social media have morphed into many new and surprising forms (both good and evil), and the world in general has changed. Blogs have evolved into something practically unrecognizable, and travel writing as a paid job has all but disappeared. And as much as I love this blog, I've felt for a while now that continuing to write it in the same way I always have is a bit like walking around in the same babydoll maxi sundress I wore in 2009, just hoping it doesn't look too dated, but slowly accepting that it is, to put it mildly, no longer a good look. And so, I'm going to make some changes in the new year. 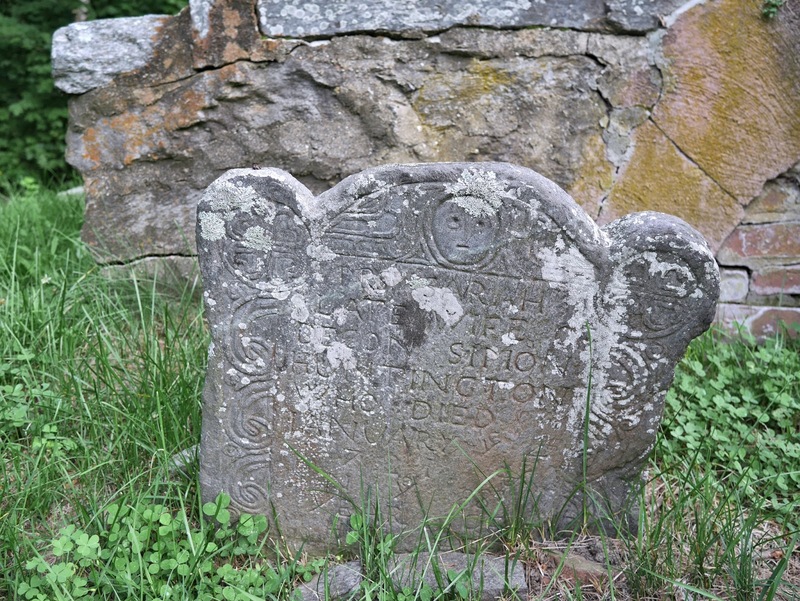 The Size of Connecticut will still provide content about unusual, unexpected, offbeat, off-season, underrated, and underappreciated destinations in Connecticut (and occasionally beyond.) But it, and I, will do so in a slightly different, and hopefully much better, format. 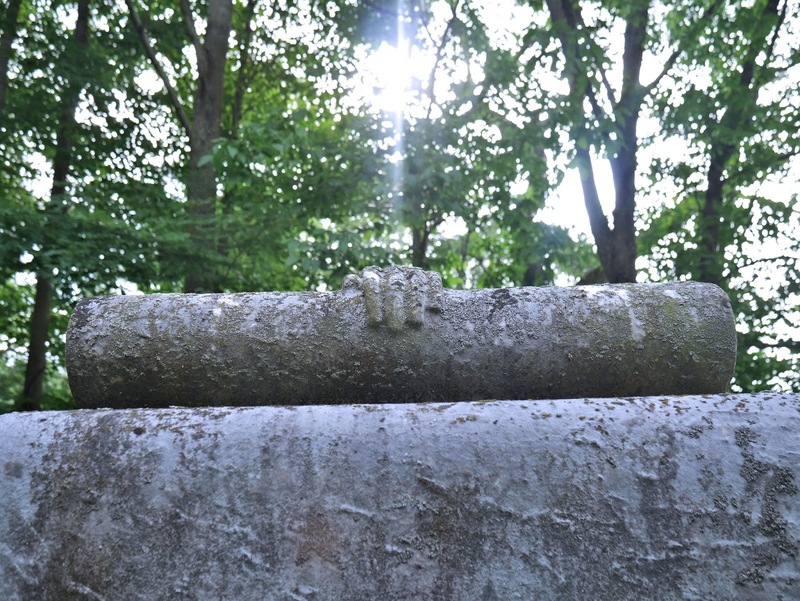 The posts I've published up to this point will not go away; they will become part of an improved website that I hope will inspire even more people to seek out the lesser-known corners of the Nutmeg State and appreciate some of the better-known attractions in a different way. It will take me a few months to sort everything out, but I hope you'll check back to see the changes. In the meantime, you can find me (and my Connecticut photos) on Instagram @johnnakaplan and on Twitter @johnnamaurie. I'll be announcing the new and improved Size of Connecticut on both platforms, when it's ready. And if you're looking for something to read, I'll still be publishing travel posts on my other blog, This Land, This Year for the rest of December. Plus, I've launched a podcast about travel in Connecticut and beyond. It's called Going/Steady, and you can listen to it here. Happy Holidays to everyone who had read and commented and emailed me over the years, and I'll be back as soon as I can. It's coming up on one year since I wrote the post above, so I wanted to share a little update on the state of The Size of Connecticut. The short version is, the new site is coming. And I'm excited about it! I think it's going to be good. These projects always take far longer than I imagine they will, so I don't want to say definitively whether it will be up this year or in 2019. But progress is being made, and I hope the result will be something readers of this blog will come back to check out. 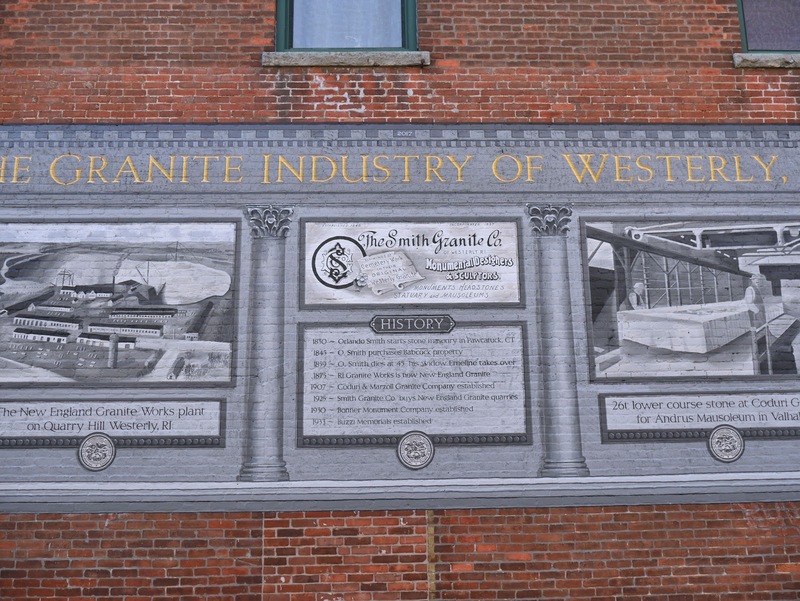 I've long had a love-hate relationship with murals, or maybe it would be more accurate to say a mix of love and skepticism; I'm always happy to spy a mural, whether stretched out along the flood wall of a small Midwestern river town or splashed across an old brick building in a New England city. There's no denying that they brighten up the streetscape, and when they depict events in local history and have a vintage look - which they often do - I'm drawn to them even more. And yet. 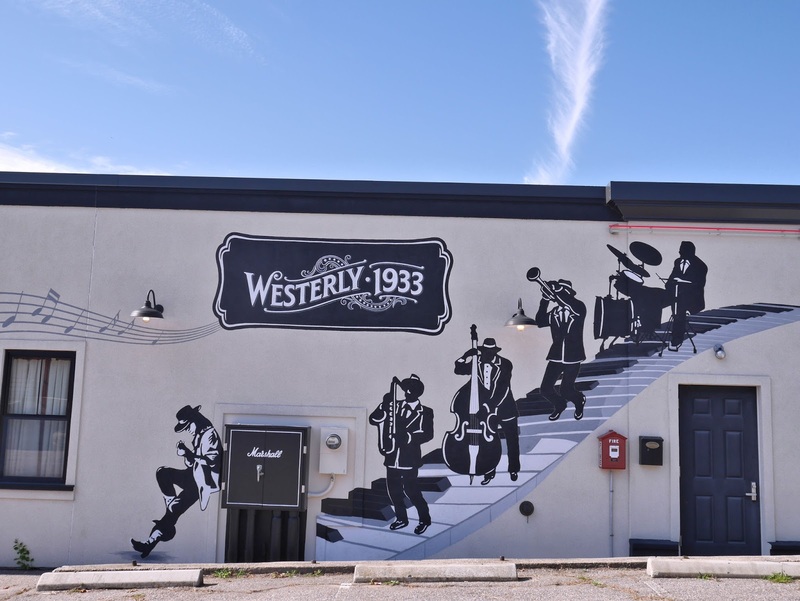 Sometimes I see people getting all excited about a bright new mural in an economically distressed municipality, as if one Instagram-friendly section of wall can solve every problem, and the cynical side of me (which tbh is about 7/8 of my total being) just rolls its eyes. 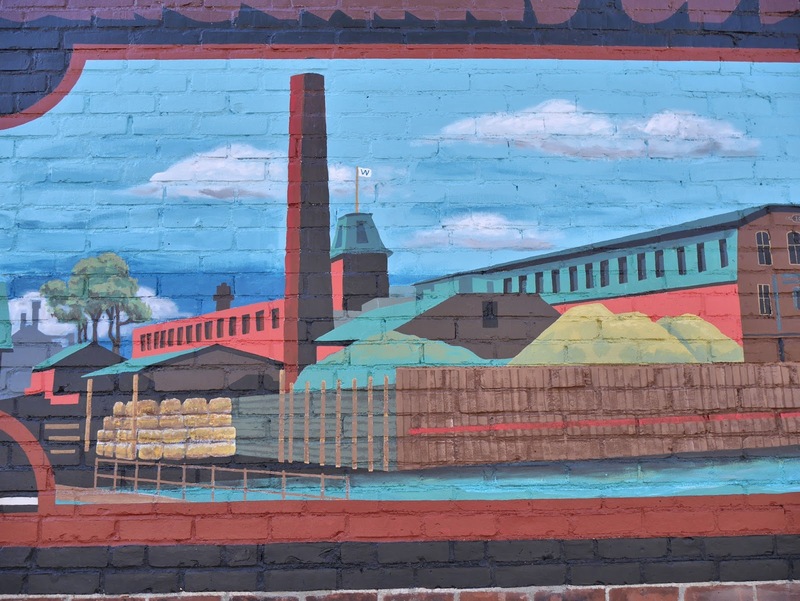 But the murals keep going up, and I keep crossing the street to take pictures of them, so I have to admit I'm slowly being won over by the lure of paint skillfully applied to brick. I posted here last year about the New London Mural Walk (still the largest collection of murals in New England, as far as I know) but my recent trip to Detroit's Eastern Market neighborhood may have been the tipping point: there, for the first time, I got the sense that large-scale public art might really have the power (along with a slew of other efforts, of course) to change a neighborhood for the better. 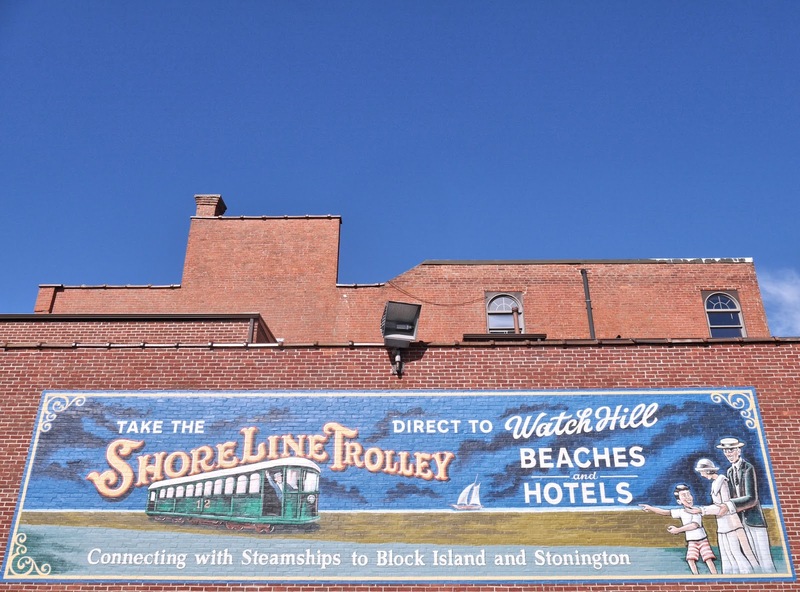 So I was feeling uncharacteristically optimistic last week when I went in search of a brand new collection of murals in Pawcatuck and neighboring Westerly, RI. These were done all at once, over the course of the four-day Bricks and Murals Festival, held in September. 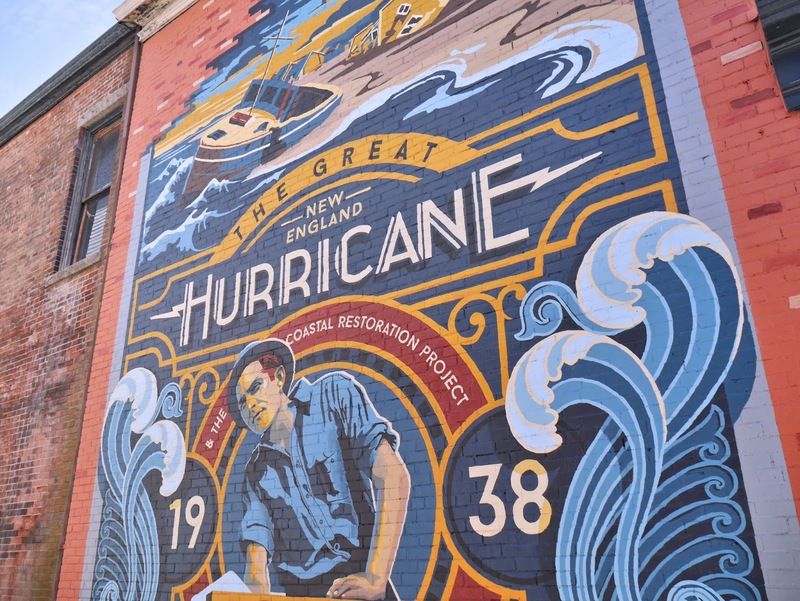 The murals were painted on Connecticut and Rhode Island buildings by a traveling band of artists called the Walldogs, who do this kind of thing all over the world. 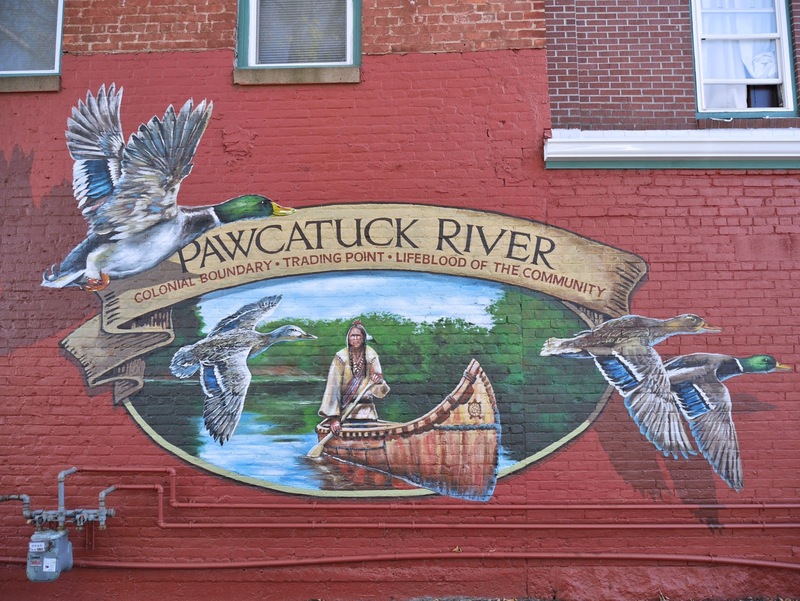 The Westerly-Pawcatuck event was the first time the group has come to decorate a community in the northeast. There are fifteen murals, I think; I didn't find all of them, and I didn't photograph all that I found. But I spotted most of them, and it was a fun, nerdy little scavenger hunt. The paintings aren't necessarily in the most obvious locations, which also helps to remove any hint of a promotional stunt. 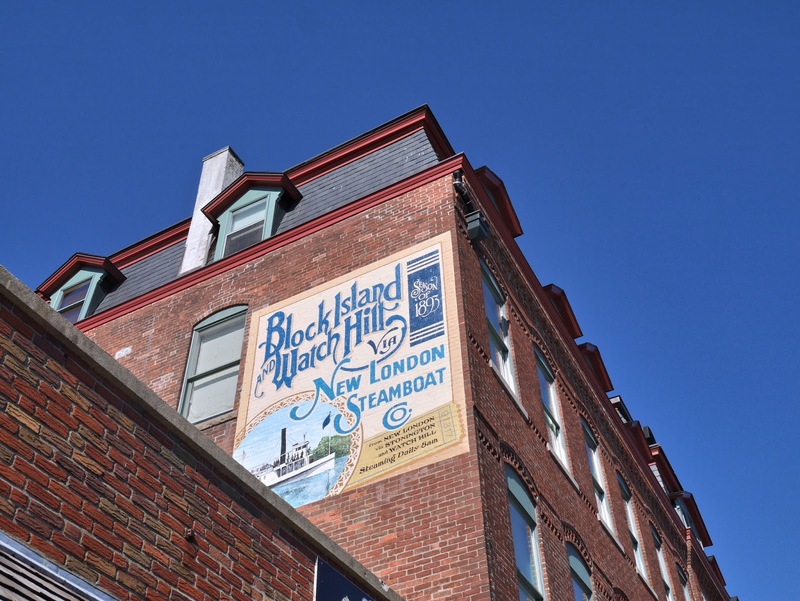 (Which it pretty much is; the Bricks and Murals website says the aim of the project is to "[create] an exciting destination for locals and visitors alike" and "[open] the area to opportunities for future events and activities.") 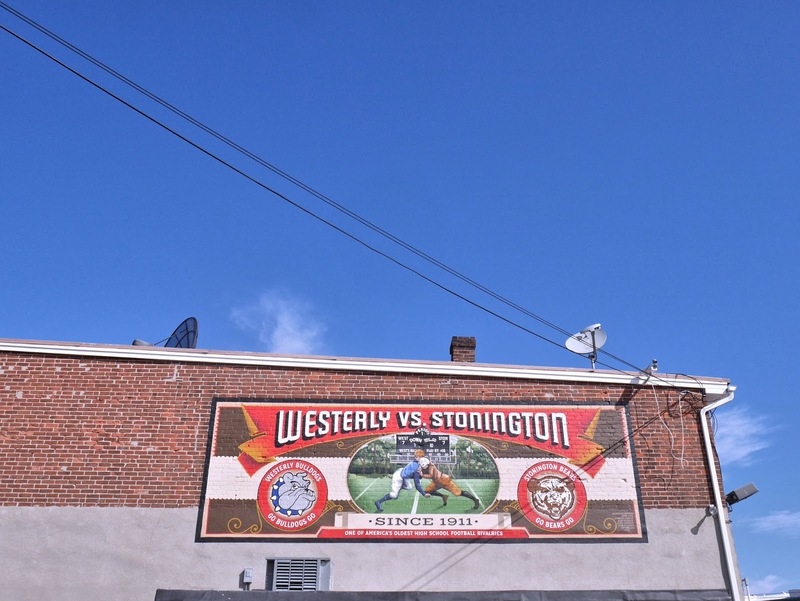 The paintings look as if they could have sprung up organically over a period of decades, and they share a 1930s style that fits in perfectly in the historic, walkable centers of Pawcatuck, in the eastern part of Stonington, and Westerly, just over the state line. Of course, you don't need murals as an excuse to visit these connected border towns. 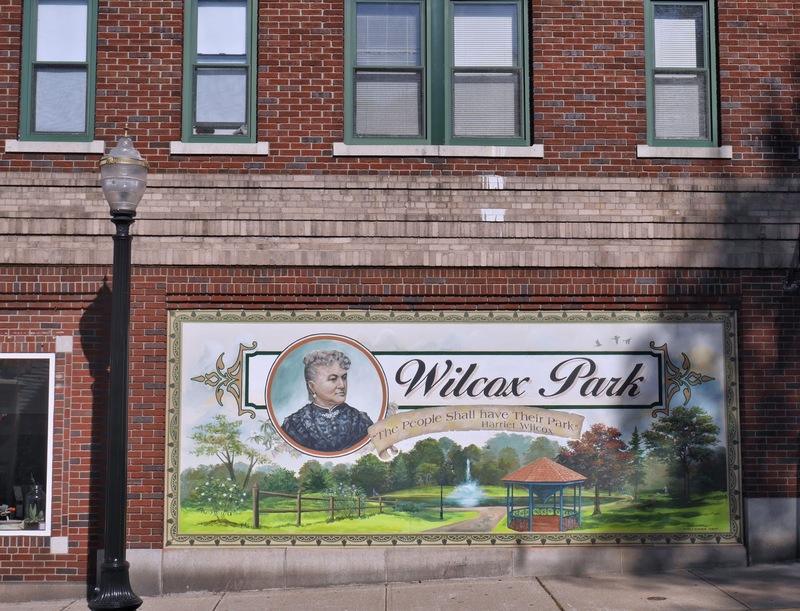 Tiny Pawcatuck is an attractive and underappreciated corner of Connecticut, and Westerly, with its old-fashioned main street and serene Wilcox Park, is always worth a stop. But in a surprisingly subtle way, these new additions enhance the appeal that was already there. Remember in years past when everyone feared missing out on summer - that mythical, shimmering, relaxed yet activity-packed, summery summer? That era is over; summer has lost its FOMO-inducing glow. Fall has taken over. Now, I love fall. (Except for the part where I turn a year older and the other part where I have to rake my lawn.) But lately, fall - or rather, the hype surrounding it - has gotten out of hand. These days, we can't just appreciate the foliage and buy a new sweater, we have to hoard sickly-sweet orange candles, expertly style a nursery full of mums on our front steps, sprinkle everything with pumpkin spice (which, come on people, is nutmeg and cinnamon, doesn't that sound a thousand times more appetizing anyway? ), and go apple-picking in leather boots even though it's still 75 degrees out. And that's before we even get to Halloween, and the whole thing really goes into full faux-spider-web-covered overdrive. (It is interesting that Thanksgiving doesn't factor into the autumnal craziness too much; could it be because the holiday has mostly resisted commercialization?) The Fall Industrial Complex is real, and the pressure is intense. And in Connecticut, the seasonal mania is especially strong, because while summer weather lasts for three months or more in a good year, fall weather - that perfect, crisp-but-not-cold, sunny, leaf-saturated, booties and scarf weather - lasts about two weeks. (Unless we get one bad storm in September or early October and skip straight from summer to snow.) Fall is limited edition, and limited edition products always come with especially frenzied promotion. This year, the fall craziness began weeks ago, weather and the calendar date be damned, but now it's picking up the pace as a few signs of actual autumn have appeared. It's getting cooler overnight, pumpkins have started popping up at farm stands, and last week, in Litchfield County, I saw not only some orange-tinged branches but an entire grove of bright red trees. So I thought I'd write a list. These fall suggestions, all of which I have done recently or hope to do soon, are ways to take advantage of the season without losing your mind over it. In other words, you could put on a $150 flannel shirt and Instagram these activities while jumping in a leaf pile, but you don't have to. 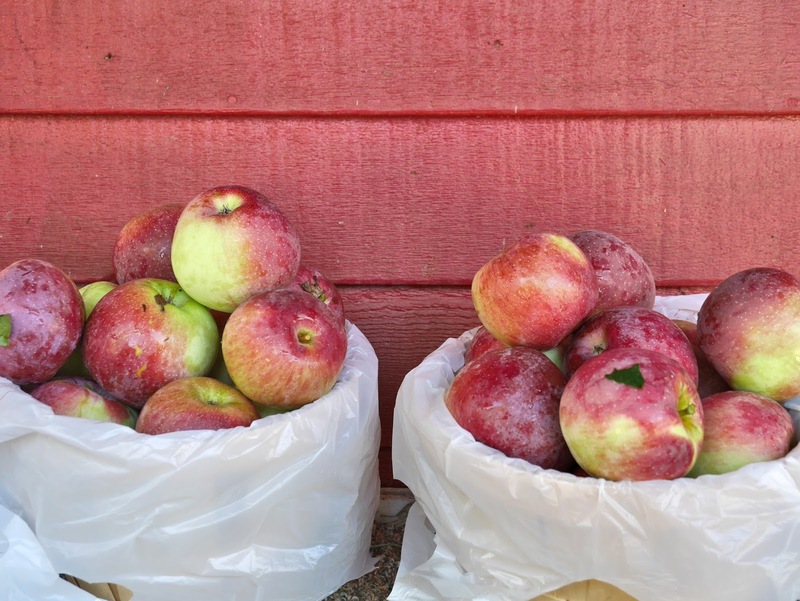 I'm probably not going to be picking apples this year (and I'm definitely not going to be doing it while dressed like a fashion blogger) but I will certainly stop by some farm stores and grab some local apples and cider. (In fact, I already have the apples, from Scott's Yankee Farmer in East Lyme. They'll be going into my apple cake for Rosh HaShanah. The cider will come later.) The Connecticut Department of Agriculture has a listing of farm stores and stands by county. Check a farm winery off the list. I love visiting Connecticut wineries, both because they tend to be gorgeous and because, well, they have wine. And ever since first I stopped at the adorable farm market at Holmberg Orchards in Gales Ferry, I've wanted to try their wines. Unlike most local wineries, Holmberg produces mostly fruit wines and ciders. I've never gotten into these - I've always been strictly a red wine person - but if I'm ever going to like them, it will be on a pretty Connecticut farm in the fall. They're open for tastings Saturdays and Sundays from 12:00 p.m. to 5:00 p.m. through October. I have a long list of Connecticut attractions I intend to get to someday, and not a few of them are hikes. Two in particular have been on the list for years and, more to the point, seem like particularly good bets for capturing fall foliage. (Because as much as I hate the whole leaf-peeping thing, I can't stop myself from trying to get some good leaf pics each year.) 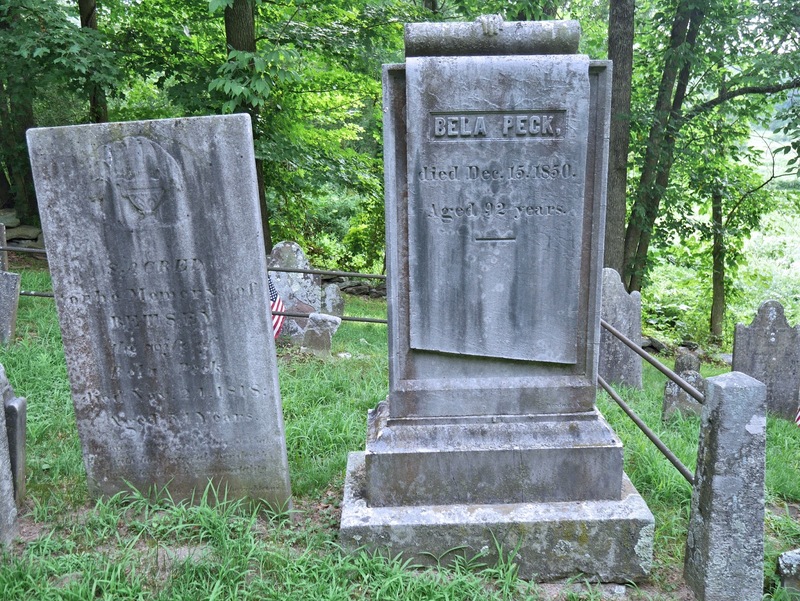 They are Mount Tom State Park in Litchfield, and Mohawk Mountain State Park in Cornwall and Goshen. Both involve towers. Hopefully I'll get to one; maybe I'll manage to get to both. But even if I have to stick to parks closer to me, I'm sure I'll spend at least a little time this fall in the colorful outdoors. Go to a country fair or festival. 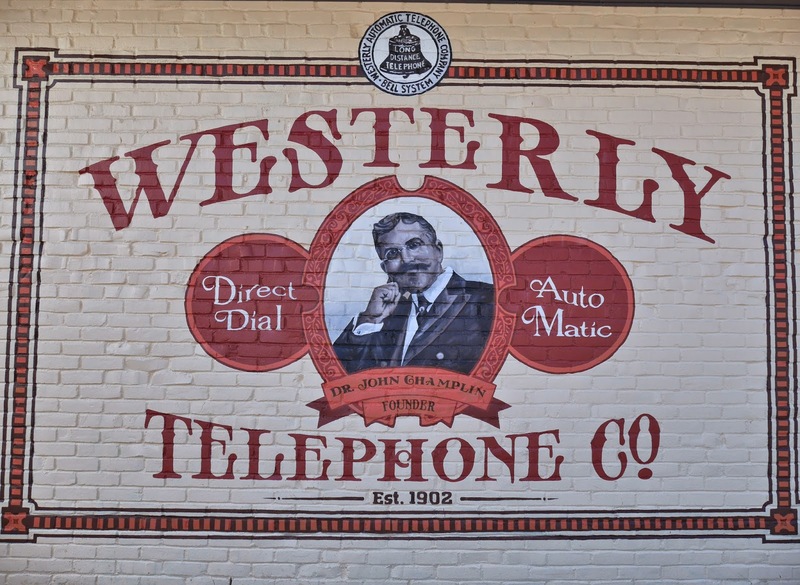 Growing up in Westport, fall was synonymous with the Apple Festival, which brought decadent food, crafts, student dance recitals, and campaigning politicians together in our local high school. The Apple Fest, as we called it, is no more, but other fall fairs and festivals live on elsewhere throughout the state. If you've never been to a traditional agricultural fair, the kind with animal barns, rides, tractor pulls, and fried dough, this is a must. Most of Connecticut's fairs end in late summer, but three take place in the fall: The Durham Fair, which runs from September 21 through 24 (here's my post on my visit to the Durham Fair last year); the Harwinton Fair, October 6, 7, and 8; and the Portland Fair, also October 6, 7, and 8. There are also festivals all over Connecticut, with themes ranging from apples to pumpkins to oysters to foliage to...well, just search for one near you, or by date, on ctvisit.com. Browse in a garden store. Get the beach to yourself. Though summer is my favorite season, summer's favorite activity is my favorite activity to do in the fall. I avoid beaches as much as possible between Memorial Day and Labor Day, but as soon as they're FREE, nearly deserted, and neither too sticky nor too cold, I'm back. This fall, I'm sure I'll hit some favorites close to home, like Rocky Neck State Park in East Lyme, Hammonasset Beach State Park in Madison, Ocean Beach Park in New London, and Waterford Beach Park. But I'd also like to go back to Cove Island Park if I'm in the Stamford area, and maybe discover some new beaches, if there are any I haven't found yet. Sneak in some day or weekend trips. I know, I know, this isn't a something to do in Connecticut. But if you live here, this is the season to take advantage of living in a wonderful place that's also very close to many other wonderful places which happen to be crowded in summer and freezing (or nearly shut down) in winter. Among the places I'd like to return to are Long Island's east end, just a ferry ride away from New London; some Hudson Valley towns like Saugerties and Catskill; Providence; and Block Island. Some I haven't been to yet that I hope I can squeeze in are Boston's Harbor Islands; City Island, NY; and perhaps some new-to-me small towns in New Hampshire or Maine. 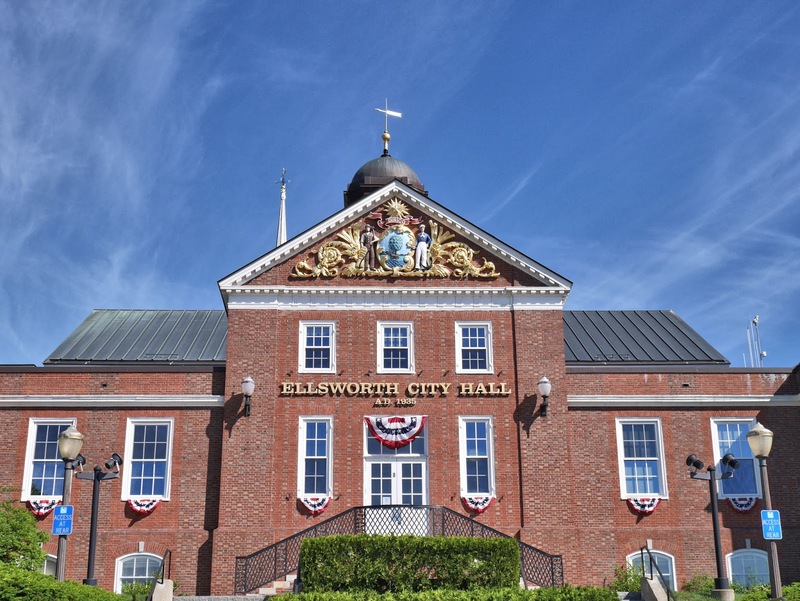 This is as simple as it gets, but Connecticut is packed with extremely pretty towns and historic cities that really come to life when you take the time to explore them on foot. And there's something special about walking around a town green or along an old-fashioned Main Street when it's cool enough to order a warm drink, but not too cold to consume it outside. I hope I have time to add some more City Walks and Town Center Strolls to the blog this season. 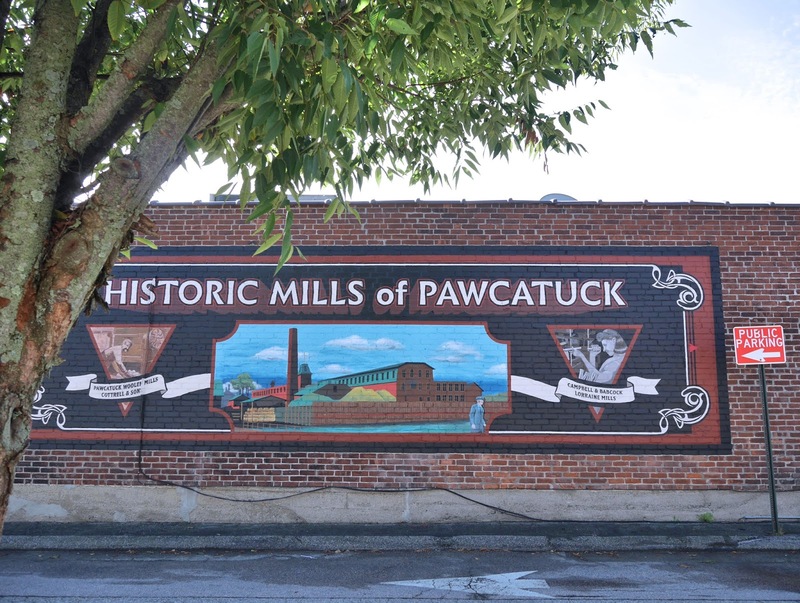 I'd like to get back to Pawcatuck, New Milford, and Hartford, among many others. 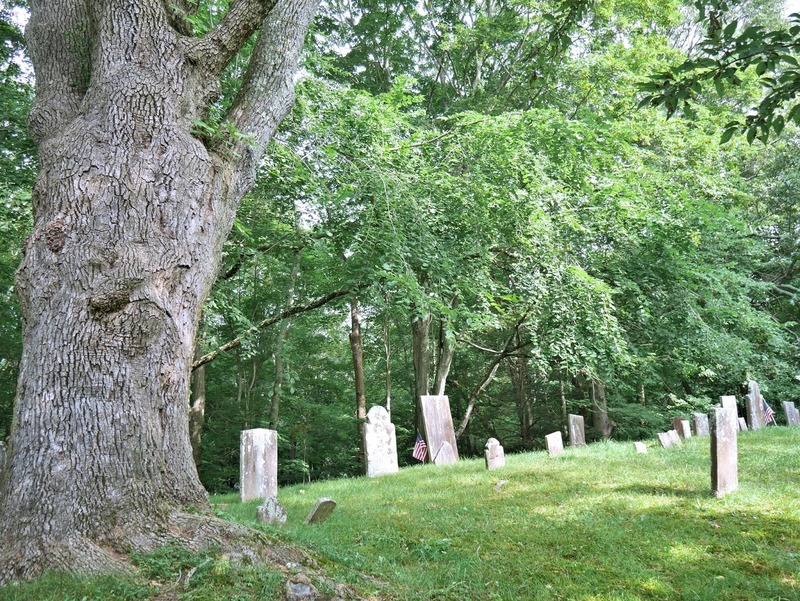 Wander through a historic cemetery. 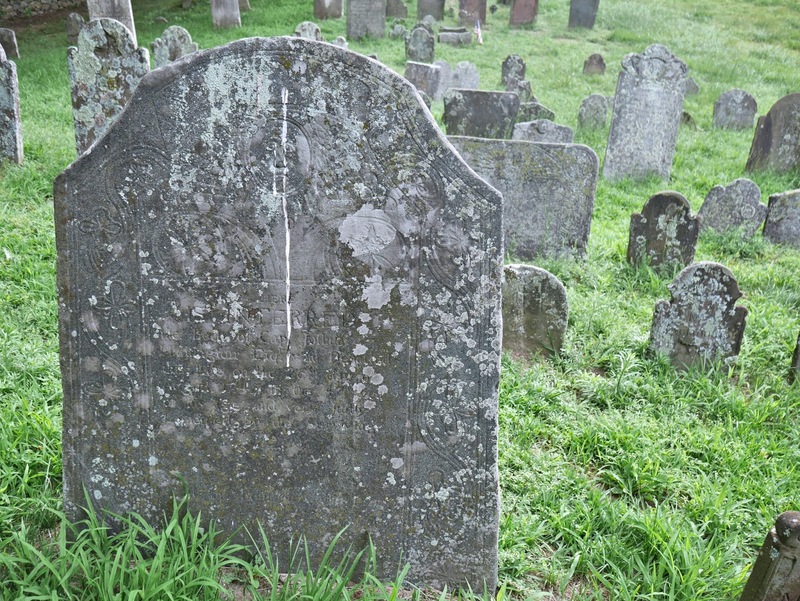 For some reason, I usually find myself in old cemeteries in summer, sweating and fighting off mosquitoes, or in winter, unable to read headstones covered in snow. 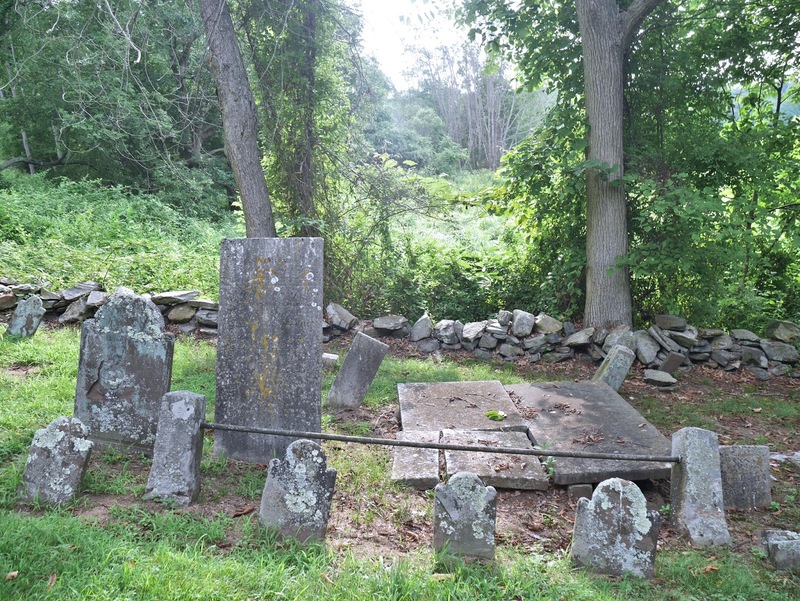 (See: my trips to the Old Norwichtown Cemetery in Norwich and Cedar Hill Cemetery in Hartford.) But autumn is a far superior time to lose yourself in the details of the dead. It's a way to get that Halloween-y vibe without having to make a costume or go to a party with dry ice in the punch. 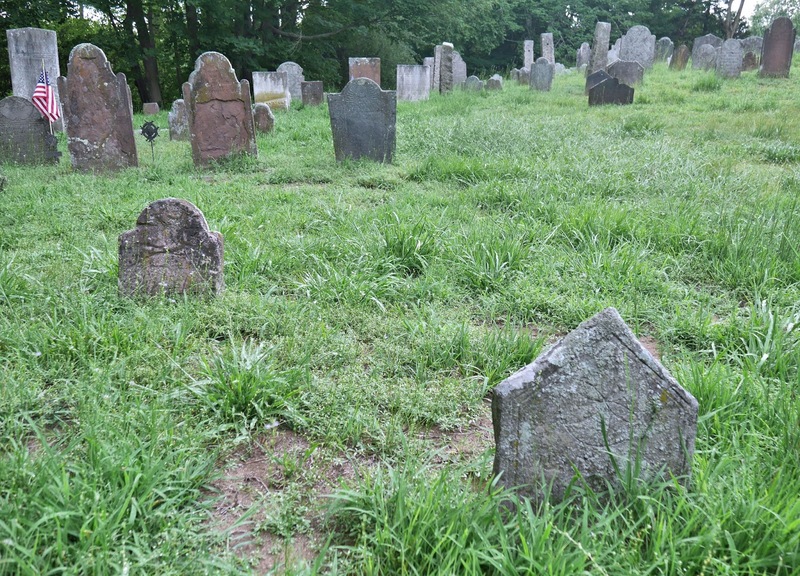 Plus, weather-wise, fall is a much more comfortable time to go searching for notable graves in venerable little burial grounds or exploring some of the larger, park-like cemeteries built as serene public spaces for the living as well as final resting places for the deceased. 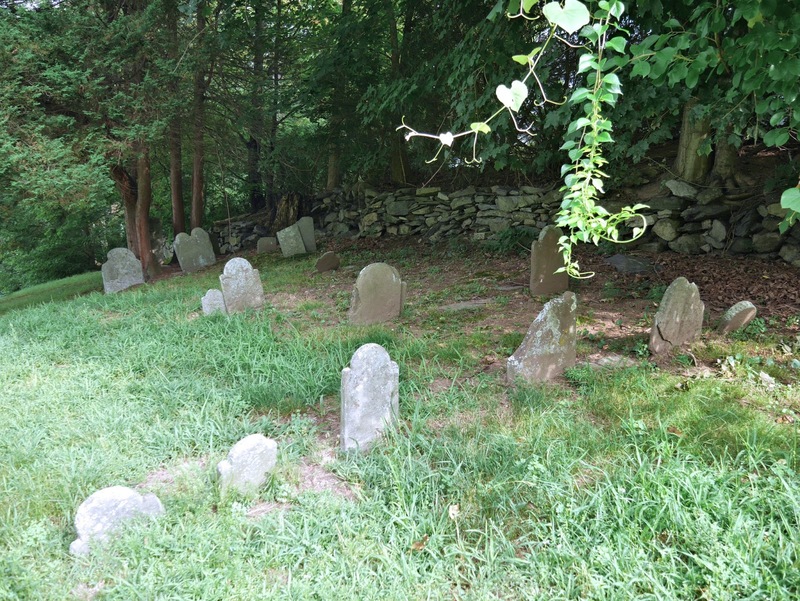 Some particularly haunting options (among many) are Griswold's Kinne Cemetery, Bridgeport's Mountain Grove Cemetery, and Hartford's Ancient Burying Ground, but often, in New England especially, the best cemetery is the one you discover unintentionally by the side of the road. Labor Day, the start of the school year, and the crickets chirping might make you feel like summer is over and gone. But many seasonal businesses stay open well into October - and sometimes beyond - and lots of stereotypically "summer" activities are just as enjoyable in the fall. Many of Connecticut's ice cream stands, for instance, keep serving frozen treats past whatever date you might imagine is your last chance to indulge. Lobster shacks, too, usually stay open, if with limited hours, into the fall. Captain Scott's Lobster Deck and Fred's Shanty in New London and Abbott's and Ford's in Noank stay open into October. Farmers' Markets get the most attention when their tables are overflowing with summer berries, but in addition to the larger markets that are open (usually indoors) year-round, regular smaller markets often extend their season into the fall. The Department of Agriculture provides a list of markets with dates, and there's almost certainly one open in September or October near wherever you may be going. Recently I got into a conversation about picnics, and realized they're also a summer staple that doesn't have to end in August. 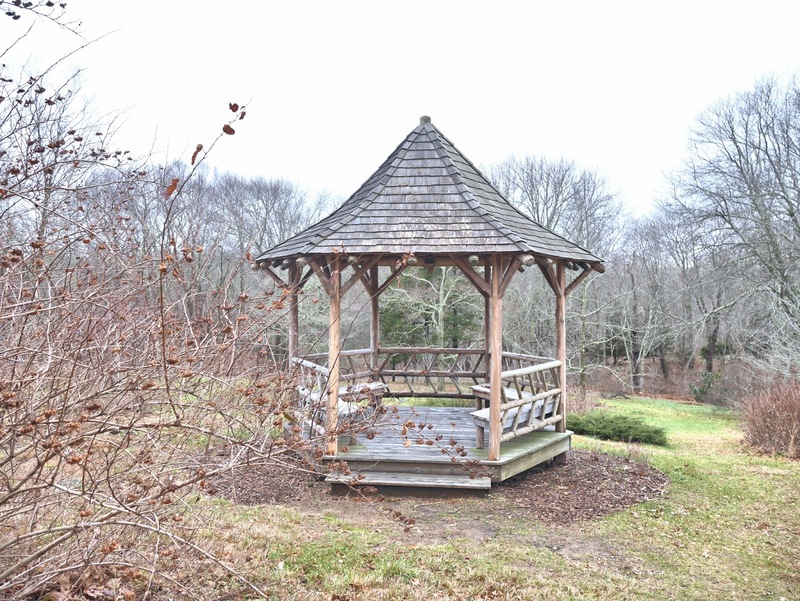 For a classy picnic option, grab some food at the Marketplace at Guilford Food Center in Guilford and eat on a bench on the town green. For an old-fashioned, rustic experience, get lunch at Heirloom Market at Comstock Ferre and eat at Wethersfield Cove. And for cheesy fun and a huge variety of food choices, shop at Stew Leonard's in Norwalk, Danbury, or Newington. 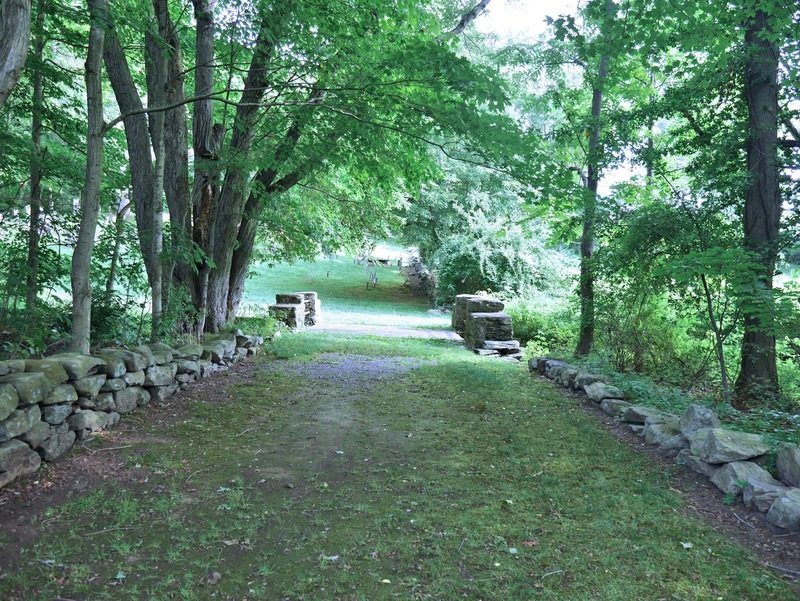 Outdoor eating options for those towns include two spots that have been on my Connecticut to-do list for years, Calf Pasture Beach in Norwalk, and Tarrywile Park in Danbury. As for Newington, any excuse to go to the park with America's smallest natural waterfall, right? I wasn't planning on writing a blog post when I went to Boston last weekend - it was just a trip to meet up with a friend and relax on a rare day off. But when I got there, everything looked so pretty that I couldn't resist snapping some photos. 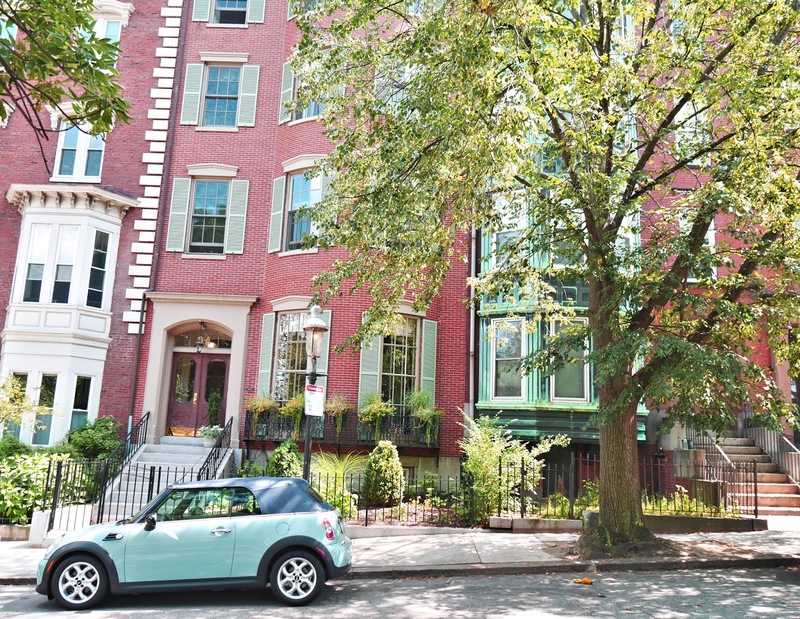 And then I realized that I've done a few posts over the years about other Boston neighborhoods - namely South End, North End, and Beacon Hill - so why not add Charlestown too? I can only remember coming to this quiet, historic area once before, maybe 8 years ago. 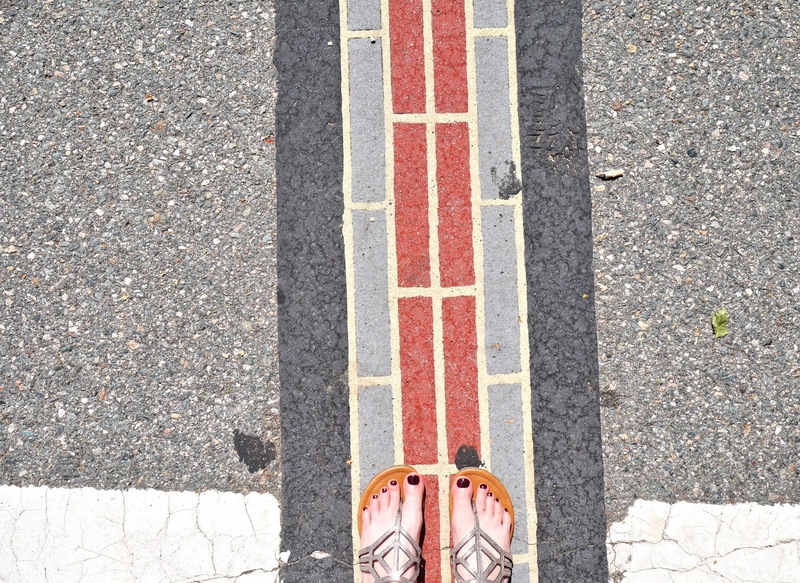 That visit has a special - and by special I mean kind of terrible - place in my memory, because that was the day I walked the Freedom Trail and destroyed my first knee. (The second knee followed shortly after, as I walked along the water right here in New London.) Before that, I could and did walk all day, any day; for a period of years after, I could barely walk across a parking lot and stairs were nearly impossible. Getting my knees to function again has been a long and slow process that isn't yet over, but while they'll probably never be the same, I can now usually walk for several hours (or several miles, depending on how I'm counting) without pain. 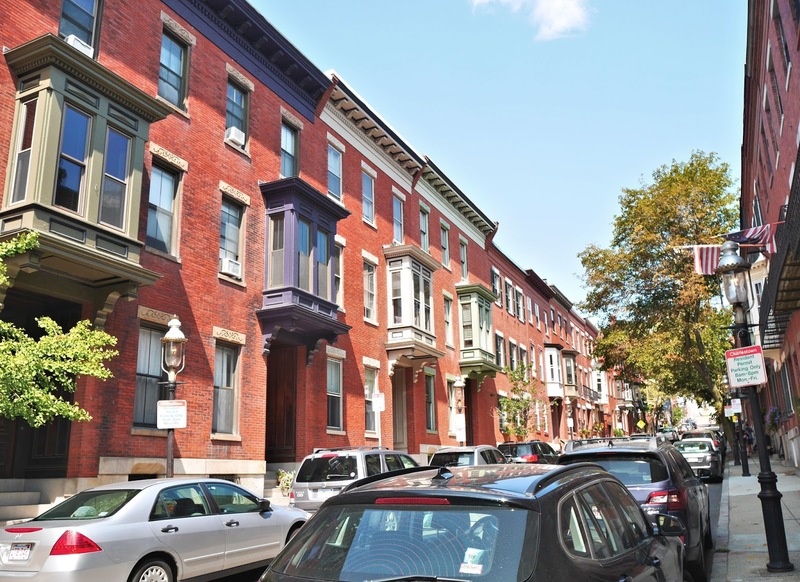 And this time, when my friend Stephanie and I followed the red brick line of the Freedom Trail to Bunker Hill and then left it to wander the hilly streets of this lovely waterfront neighborhood, my knees held up. I have no statistics on this, but I suspect that many people who begin the Freedom Trail (intentionally or spontaneously) at or near the start never make it to Charlestown. 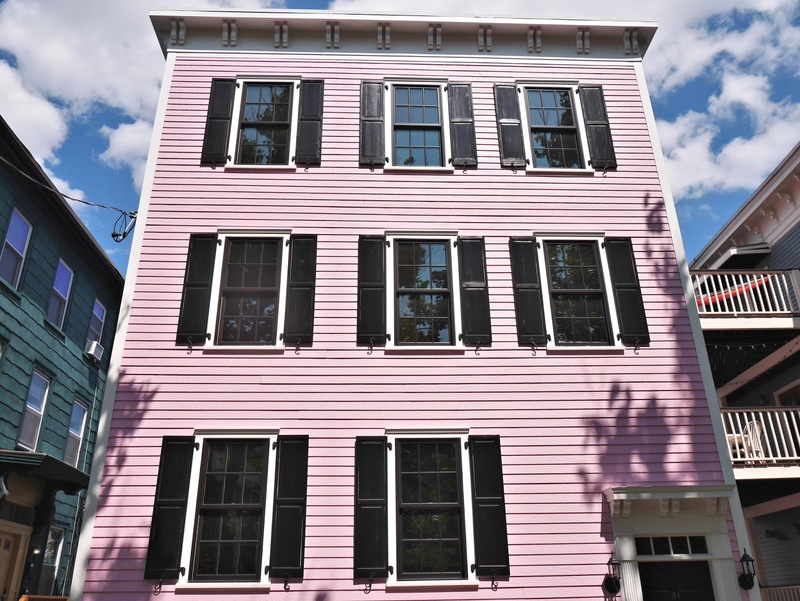 It's easy to get distracted by something - a historic site, a coffee shop, a bar, or just the hubbub of Boston Common, Faneuil Hall, or the North End - along the way. If you don't live here, you really have to commit to walking across Charlestown Bridge - not that it's far, just that rivers have a way of forcing decisions. That would at least explain why, despite major attractions like the Bunker Hill Monument and Museum and the USS Constitution, both times I've been to Charlestown have been calm, as if the other tourists mostly wandered off and the streets were empty but for a few locals going about their day. 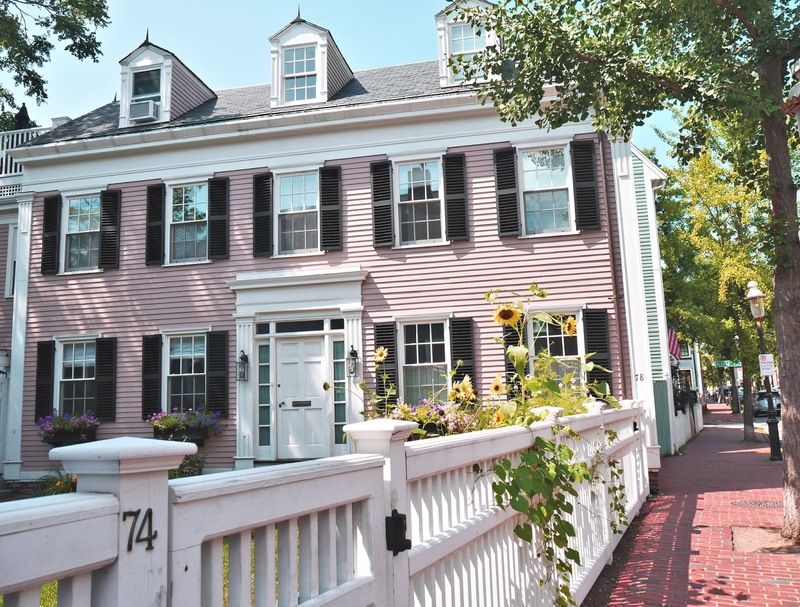 Anyway, none of that has much to do with the point of this post, which is simply to share some pretty Charelstown shots and encourage you, the next time you're in Boston, to cross the Charles River and explore this neighborhood too. And here's a little bonus travel tip: when you're done in Charlestown, take the MBTA's commuter ferry from the Navy Yard to Long Wharf. You can enjoy a scenic little boat ride, avoid walking through crowds, and you'll end up at the New England Aquarium, where you can stand on the sidewalk and get a free show from the seals, who like to show off for passers-by gathered at their window. 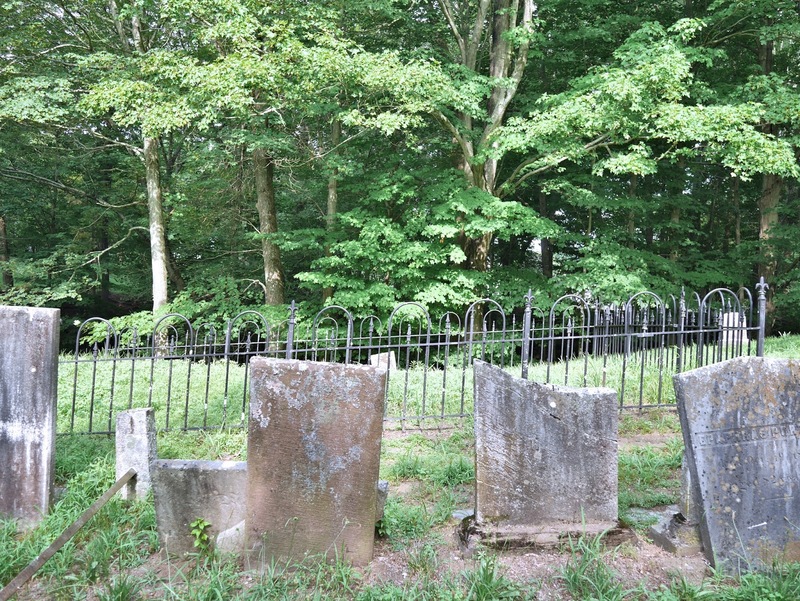 Its address is Old Cemetery Lane, but it's easier to get there if you park in the lot of the Bank of America on Town Street and look for the worn paths that lead you behind the old stone wall. (The people in the drive-thru line will wonder where you've disappeared to, if they notice you at all.) The cemetery is bigger than it looks from the street below, and hillier. It is divided into two sections, one on either side of a little stream, and it hides a wealth of Norwich history. Samuel Huntington, signer of the Declaration of Independence (and first president of the United States?) 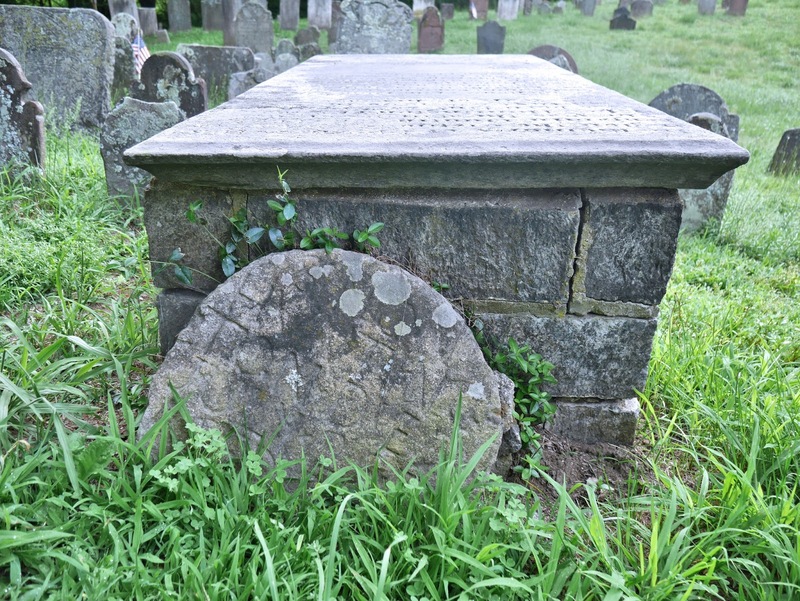 is buried here, along with many of his notable relatives. So is Hannah Arnold, Benedict Arnold's mother; and this is Norwich, so that is a big deal. So are 20 French soldiers who served here under Lafayette. 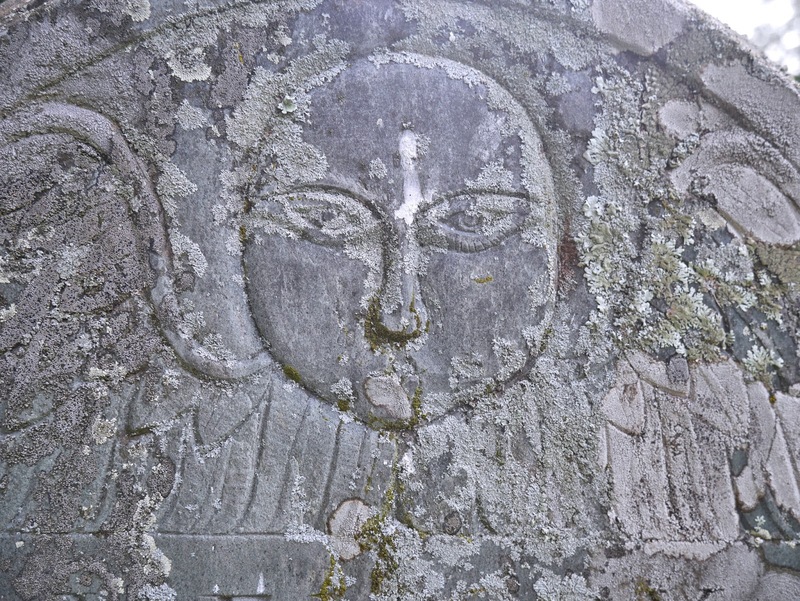 If you decide to wander through this Colonial-era burying ground, look out for the range of expressions among the many soul effigies, from worried to stern to downright annoyed. 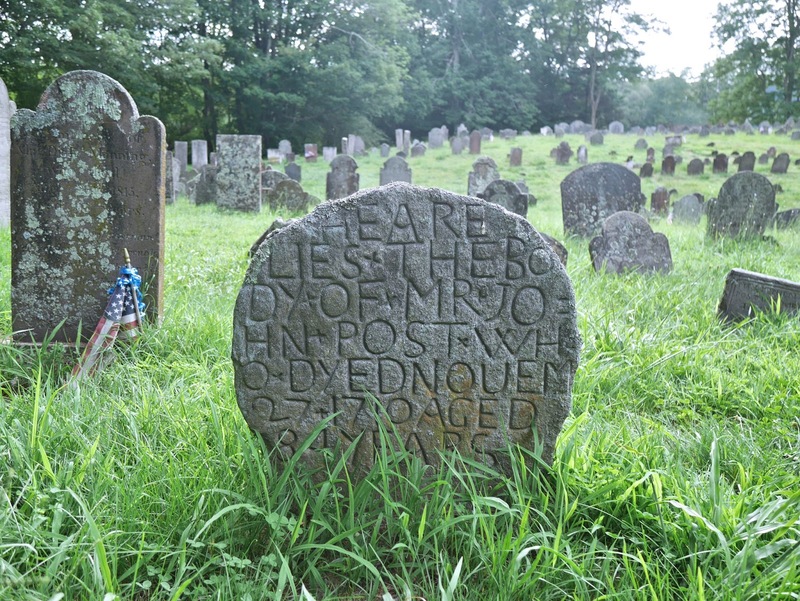 Also look for the headstones by the so-called Norwich Ovoid Carver, whose primitively lettered, rounded grave markers are a reminder of just how far in the past Connecticut's early days can seem. This is my favorite kind of lazy road trip, because it requires virtually no planning or preparation (except possibly for hotel reservations; this is summer in New England after all.) 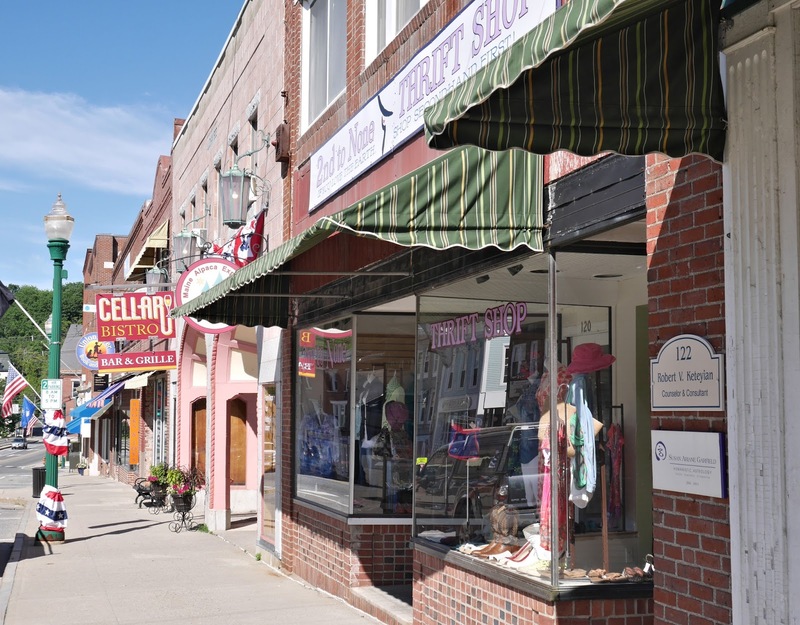 Just get yourself on Route 1 and drive until you see an adorably old-fashioned downtown retrofitted to accommodate all the dining, shopping, and sightseeing needs of a modern traveler. (You'll encounter one of these something like every 20 to 40 minutes.) You don't need an itinerary or a list of must-sees, because it's all a must-see, and whatever you end up doing will be perfect. Maine is calming that way. In fact, it occurred to me on this trip that Maine is very similar to Connecticut, it's just calmer, and there's more contentment and pride. There is one downside to this trip, which I should probably warn you about: no matter how much you cram in, you will pass 1,000 other things you'd like to see if you had more time, so as soon as you get home - if not before - you'll want to go back again.